How’s this for an OTSG First? 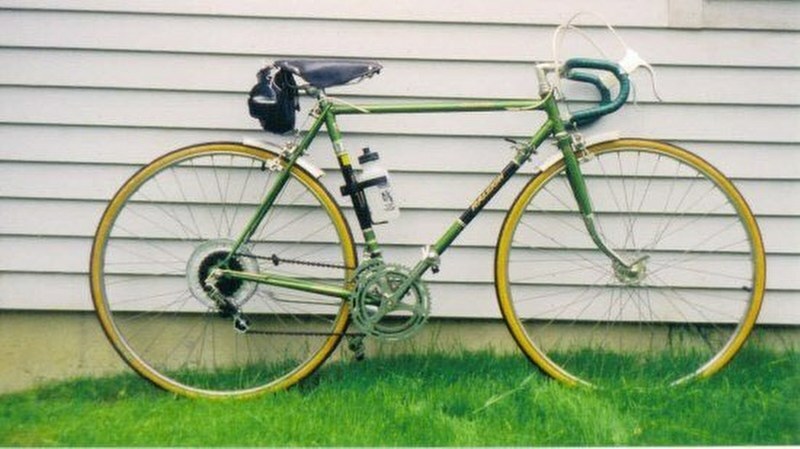 A ‘late model’ outboard bottom bracket with a Shimano Sora? crank, 8 speed cassette, and what looks to be a FALCON rear derailer! All this courtesy of Ashley H! 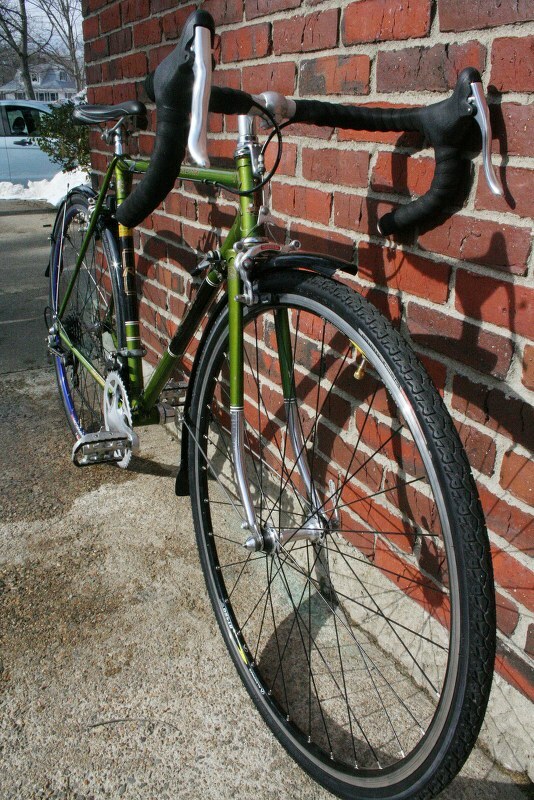 I bought the bike for $10 almost 10 years ago, and in the past 6 months have completely rebuilt it. 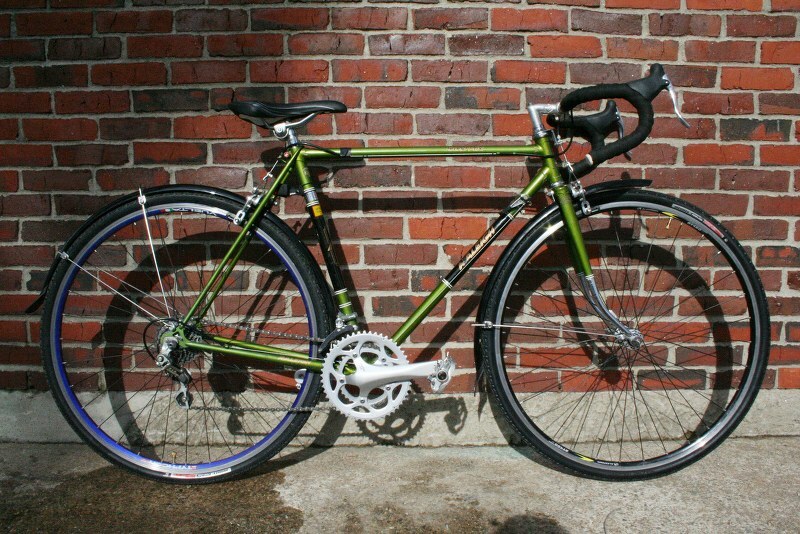 I stretched out the rear triangle to accommodate 700c wheels, added fenders, installed new hudz and put on an 8speed cassette instead of the 5speed. Last week my LBS rebuilt the headset and tore out the original crankset, replacing it with a (much newer) 34/50 compact crank instead of the stock 40/52. It may not look OEM anymore, but it’s my daily commuter. Don’t worry, I saved all the original parts! Hey Ashley, Great bike! You must have a lot of parts/parts bikes! I have ended up with a lot unknown/off brand derelicts with some interesting lookings parts. Maybe I’ll start mixing and matching parts. I’ve got some great name brand bikes with rusty parts…hmmmmm. Again great bike! Love the color! What a sharp-looking, clean green GP! Excellent and enviable upgrades; OTS+6! 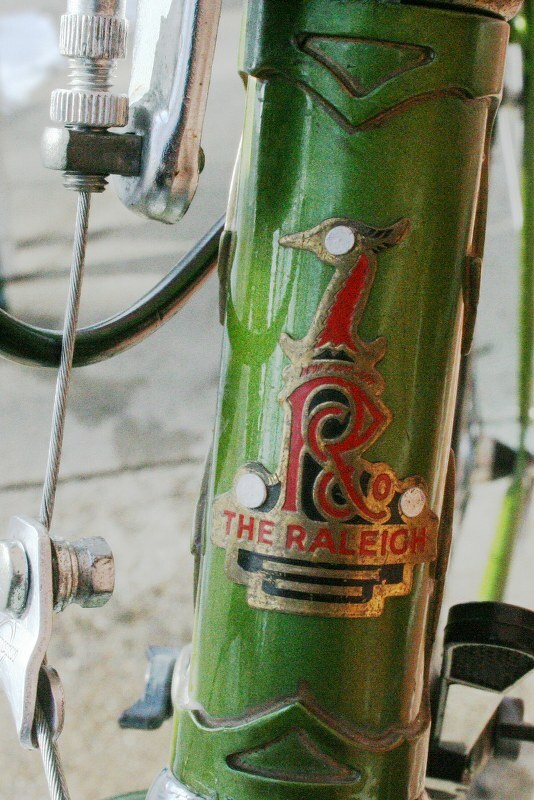 Thanks for showing how a great old Raleigh can be brought into the 21st century! Awesome-what does it weigh in at? 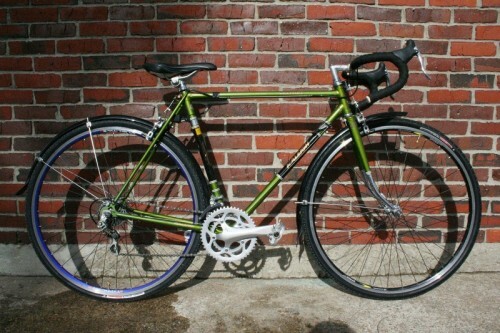 It makes for a great workout on my commute, especially when the race bike is 18.5lbs. 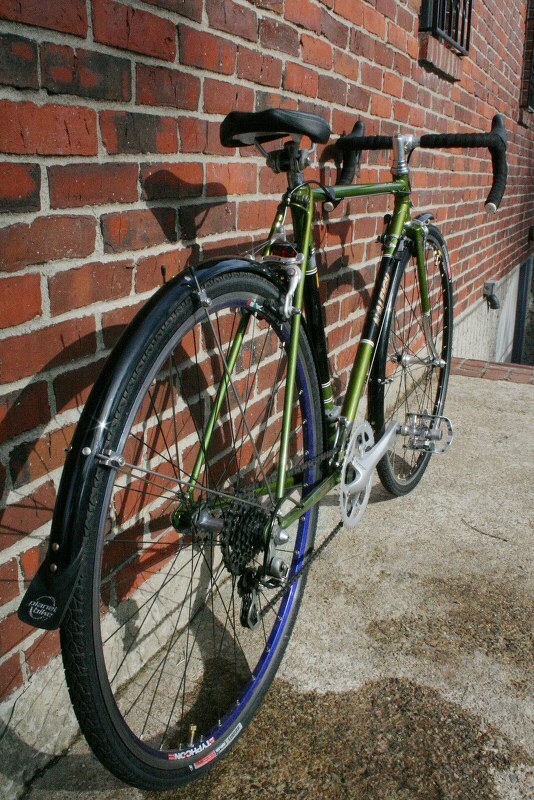 What do you mean by “stretch out the rear triangle”?